We live under oaks and are surrounded by redwoods. We know the value of trees in the landscape. Trees shade us in the summer. Their showy blossoms herald a much awaited spring and their colorful foliage in the fall quietly marks the end of the growing season. You can hang a hammock between two of them or tie a rope swing for the kids from a large branch. Yes, trees are our companions, but how can you create a garden under one of them? Planting under a mature tree can be a challenge. Caution is required to avoid damaging their roots and the plants will need to cope with dry soil, shade, root competition and ever-changing moisture and light conditions. You want both your new plants and your tree to thrive. Meet your tree’s needs first. Some trees are more agreeable than others about giving up some of their ground. You can still plant beneath trees that are sensitive to having their roots disturbed, but you’ll need to make a few concessions. When purchasing plants to grow under trees, think small. Small plants require a smaller planting hole and this will minimize disturbance to the roots. You may have to buy more plants but you’ll have an easier time tucking them among the roots. Don’t alter the grade of the soil or change the soil pH very much. Even adding a layer of soil that is more than 2" deep can reduce the amount of moisture and oxygen available to the tree and hinder gas exchange to existing roots, causing trees to suffer or even die. Only the toughest plants have a chance of surviving among the surface roots of shallow rooted trees. Be careful when disturbing sugar maples, elms. cherries and plums, dogwoods, magnolias, pines and oaks. The majority of a trees roots are small woody roots and fine hair roots that grow within the upper 12-18" of soil and extend far beyond the trees drip line. These roots are responsible for absorbing water and nutrients from the soil. If you encounter a root larger than 1 1/2 – 2" in diameter while digging a hole for a plant, move the planting hole a few inches away to avoid slicing through the root. You will sever mats of small tree roots when digging, but they’ll regenerate fairly quickly. To avoid wounding the bark, which may cause insect and disease problems, start planting at least 12" away from the trunk. Oaks, remember, shouldn’t have any plantings closer than 6-10 feet from the trunk and those should be drought tolerant. After planting, water to settle the soil and spread 2-3" of mulch to conserve moisture and keep weeds down. Be sure to keep mulch at least 12" away from the base of the tree. Mulch can hold moisture against a tree’s bark and cause rot and disease. Trees that will tolerate some disturbance to the root zone include Eastern redbuds( both the green-leafed species and the purple- leafed Forest Pansy ) and red maples ( also a good lawn tree. ). Common trees that are easy going about planting underneath are crabapples, ginkgos, hawthorns, honey locust, poplars, silver maples and willows. 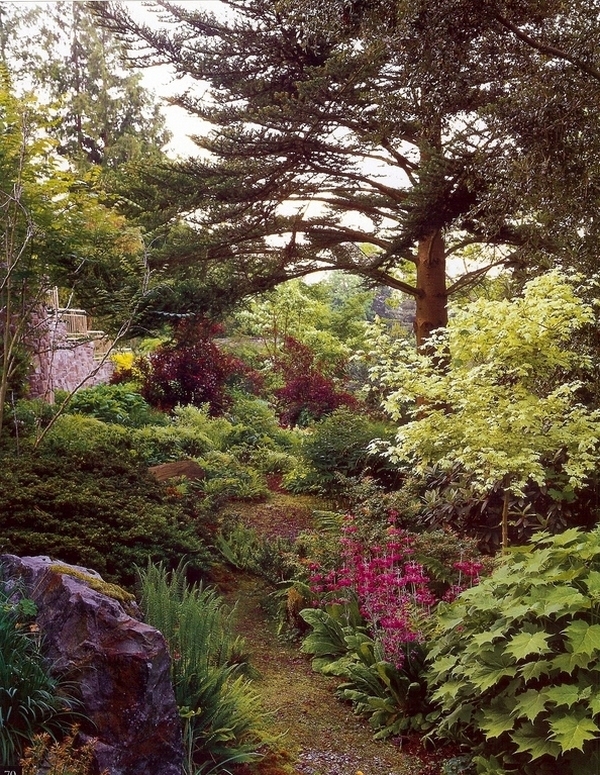 So what plants will transform your bare patch of hard earth and knobby roots into a shady nook? If you’re going for a lush look, consider hostas and ferns, paired with the hardy geranium Biokova. Other good companions are astilbes with their feathery flower plumes and variegated euonymus fortunei with bergenia or digitalis mertonensis. Trees with branches limbed high look good with small shrubs planted underneath. Red-leaf barberry can brighten up this spot and also provide fall color. Small nandinas like Harbor Dwarf make a good ground cover and their foliage takes on an orange-red color in winter. Fragrant sarcococca grows well in this situation, too. Low groundcovers make a simple statement under the crown of a tree. Ajuga, pachysandra and sweet woodruff all grow well here. Or you might like the look of the shade tolerant grass-like plant , cares morrowii ‘Evergold’. This stunning sedge makes a beautiful clump 1-2 ft. high and 2-3 ft wide with dark green leaves and a central band of creamy white. You can have a beautiful garden under a mature tree by following these tips and conquering this challenging site. We spend more time relaxing, playing and entertaining outdoors at this time of year. Your wish list might include a state-of-the-art outdoor kitchen and a pool with built-in spa but with todays gas and food prices those additions may be on hold for the time being. So what landscape design features can you implement on a budget to make your time outdoors really count? Water features – relaxing self-contained fountains are easy to set up. Some styles incorporate child-safe pond-less fountains. What about a simple outdoor shower with a Mexican pebble floor and vine covered lattice for privacy? Fire pits – you can warm your family and guests around a simple fire pit while you wait to install the pizza oven and outdoor fire place next year. Fire pits can be purchased ready-made or you can construct you own with fieldstone or concrete blocks. Either way they’re a fun addition to your patio or sitting area. Outdoor lighting – you’ll be amazed at how beautiful your garden looks when you add some lighting and how much you’ll want to stay outdoors after dark. Light a path or uplight the trunk of one of your trees. Back light a plant with interesting foliage or wash a wall with light. Todays solar lights are getting better and better and low voltage lights are more affordable, too. Stone in the garden – whether you want a seat wall to surround your patio or a permeable flagstone patio, stone lends a sense of permanence and elegance to your property. Consider adding some new elements to your garden so that you can spend more time outdoors both in the evening and throughout the year. You know the saying: corn should be knee-high by the Fourth of July. if yours is stunted or yellowish, one of the following factors may be the cause. Sweet corn is exacting in its growth requirements. Corn plants have extensive root systems and are very competitive. Thin plants to 12"-16" apart. Because corn is a heavy feeder, especially needing nitrogen, feed at planting time, then side dress when the plants are 8" tall and again when they are 18" tall. 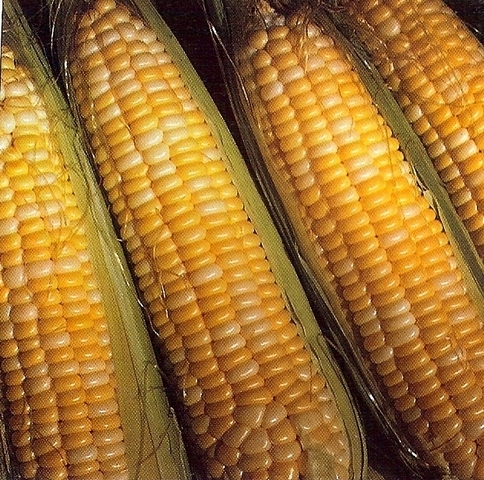 Corn needs abundant water throughout the season but especially from tasselling to picking time. Lastly, plants need deep healthy roots that develop in soils rich in organic matter, Heavy, poorly drained soils will produce dismal crops. If you grow melons and squash, the hot weather recently may have inhibited fruit set. Use a small brush to transfer pollen from newly opened male flowers to the female flower which has a slightly enlarged base. Dust pollen onto the stigma in the center of the flower. You can also take a male flower, remove the petals and gently shake it directly over the female flowers. High temps may also be affecting your beans. If your plants look healthy but only have a few fully formed pods, hot weather may be to blame. Flowers can drop before setting pods or even deteriorate right on the plants. Beans prefer temperatures between 70-80 degrees. Plants growing in soil that is either too wet or too dry are stressed by lack of oxygen. Irregular watering contributes to this problem. 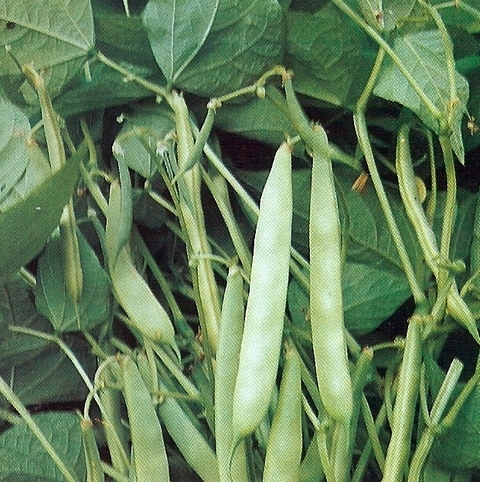 Weakened plants produce few pods. When you get your beans producing, be sure to harvest regularly so energy goes to forming new pods not seed production in mature pods. Many plants, both vegetable and ornamental, are bothered by aphids and other sucking insects as well as foliage and flower eating bugs. From cucumber beetles, fleas beetles, stink bugs, weevils, curculios to borers , the list of trouble makers is endless. . To help deter them mix up some pepper spray in your kitchen. Let stand I hour, strain and spray plants either in the morning or evening. There have been two fires close to where I live in Felton, one of which was only 5 miles or so away on Martin Grade in Bonny Doon. This started me thinking: what is a landscape that is safer in a wildfire than another? Here is what I found out. Many people think they have to clear everything within 30 feet of their house to truly have a defensible space. This is unnecessary and actually unacceptable because it leads to soil erosion and the destruction of animal habitats. What we should want to do is retain the character of this beautiful area we live in, provide the food and shelter that our native wildlife are accustomed to AND reduce fire risk. For example, grasslands mowed to leave 4-6" of height allow insects, reptiles, amphibians, and small mammals shelter, food and a place to reproduce. Leaving 4-6" standing also provides some erosion protection and shades out some of the weeds that follow disturbance. 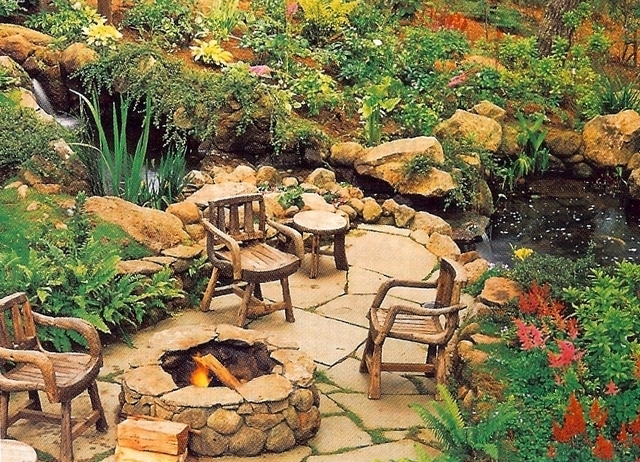 Fire safe landscaping is a term used to describe defensible space. It can look like a traditional landscape. The idea is to surround the home with things less likely to burn and place them to provide separation between canopies and avoid creating fire ladders. Many homes may not have 30 ft. between their house and the property line but following these guidelines will help. Plants in this area need to be the slowest to ignite and should produce the least amount of heat if they do burn. 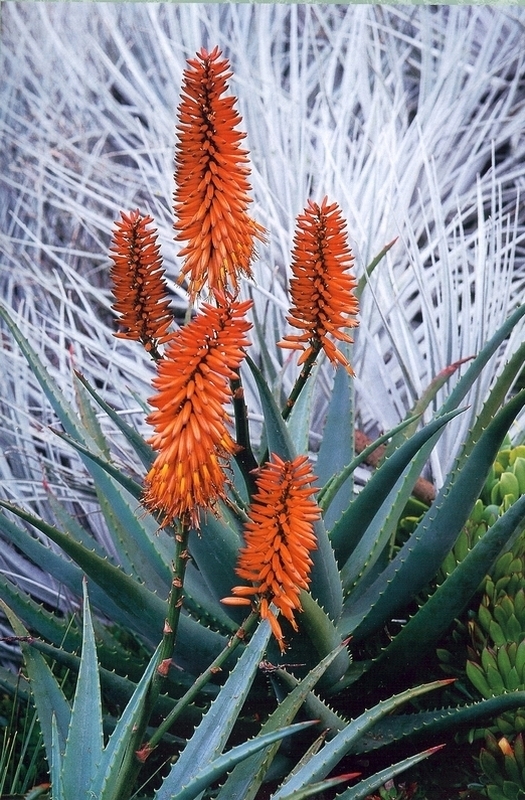 There are plants with some fire resistance which include drought tolerant Mediterranean climate selections as well as natives. The key to fire resistance, though,is maintenance and keeping the moisture in the foliage high. This may mean deep infrequent watering every month or two during the summer months. For example, Baccharis pilularis or dwarf coyote brush is generally considered highly flammable if its lush green top growth covers a hazardous tangle of dry branches and leaves several feet high. 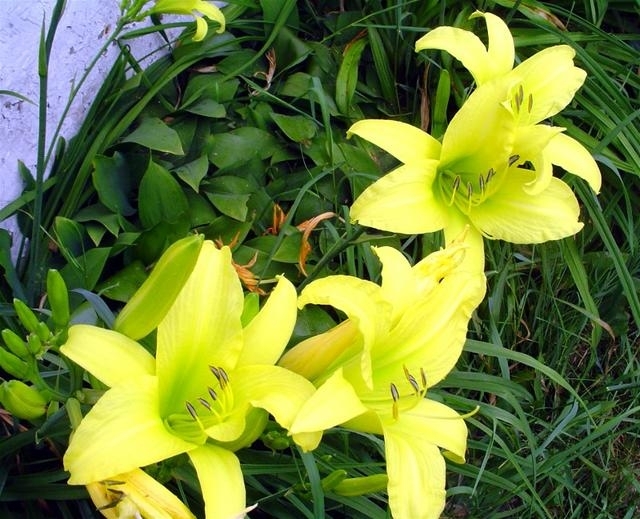 Trim this plant down low in early spring, remove the dry undergrowth, follow with a light feeding and watering and the new top growth is now resistant to fire. Drought tolerant plants with some fire resistance if properly maintained include trees like strawberry tree and western redbud. Shrubs include escallonia, pittosporum, dwarf pomegranate and coffeeberry. Groundcovers for areas closest to your house include ornamental strawberry, red fescue, and sedum. Perennials to try: yarrow, bush morning glory, coreopsis, fortnight lily, hens and chicks, daylily, lavender, penstemon, santolina,sticky monkey flower and society garlic. Vines that resist fire when maintained and watered occasionally include pink jasmine, white potato vine, cape honeysuckle and star jasmine. In areas 30-70 ft. away from your house plant should be trimmed and thinned to create well-spaced groups and help prevent a fire in the wildland from spreading to your home. Be cautious with slopes. If you have a large lot, the fringe area should be inspected and maintained regularly to eliminate any build up of dry brush and litter. This reduces the chance of surface as well as crown fires. Extremely flammable plants have a high content of oil or resin and should be separated from each other, removed of dead branches and lower limbs, and kept free of dry debris anywhere around your property. Extremely flammable pyrophytes like hollywood juniper, pines, fountain grass, japanese honeysuckle will need a higher level of maintenance. Other common plants that are highly flammable are manzanita, california sagebrush, california buckwheat, toyon, rosemary, deer grass and purple hopseed. If you have these plants on your property yearly pruning and maintenance is important. All vegetation, including native plants and ornamentals in a residential landscape, is potential wildfire fuel. Vegetation that is properly pruned and maintained, however, can slow a wildfire and reduce the amount of heat around your home. Irrigation is vital in a fire safe landscape to maintain plant moisture especially in the 30 ft around your home. Mulching around your plants will preserve this precious commodity in these times of drought. Plantings beyond 30 ft. should be irrigated occasionally but to a lesser extent. As you get 70-100 ft from the home, native plantings that require little or no irrigation should be used. These are just come of the many tips for fire safe landscaping. Find out more from the California Department of Forestry . In preparing for a consultation for another site under native oak trees at risk for SOD I found the latest host list published by the Sudden Oak DeathTask Force . The new list updated March 2008 also lists plants naturally infected and lots of information re. spreading the fungus as well as tips on sanitation. The latest information on prevention and keeping the immune system of your trees up if also available. I did find that a few of the plants that I was going to recommend for homeowners with oaks on their property have now been listed as vectors. They are coffeeberry, toyon, berberis aquifolium, manzanita and some varieties of ceanothus. This is important information for all of us to know. Spent the afternoon hiking in Big Basin State Park in search of blooming Western azaleas. There are several large specimens right at park headquarters but I wanted to find some out in the forest. Our hike took us up into the shaded understory of old growth redwoods and douglas firs and the largest huckleberries I’ve ever seen. The weather was perfect. Earlier in the week temps hit mid 90’s but today was barely 80 degrees and very pleasant. It really wasn’t until we hit the lower part of Dool trail that we found the elusive Western azalea growing in the sun along the stream. The scent of this plant fills the air. Wonderful. Seems this plant will get quite large and grow happily in the shade but it just won’t bloom unless it’s in the sun. I plan to search more trails in the park for this very fragrant flowering shrub.